Business leaders and an MP will headline an event to celebrate the relaunch of the North-East’s biggest business park. 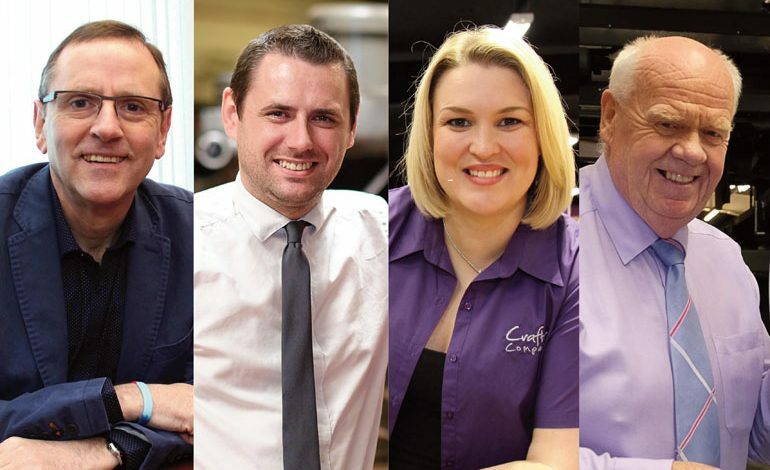 High-profile keynote speakers – including Sedgefield MP Phil Wilson, Crafter’s Companion founder Sara Davies, Ebac chairman John Elliott and South West Durham Training chief executive Lee Childs – will talk at the celebration seminar, sponsored by IT firm Cornerstone Business Solutions, at the Xcel Centre on Friday September 8. The event, which is open to all businesses from the region, comes 12 months after Aycliffe Business Park Community was formed as an official limited company with a board of non-executive directors, who have been busy working on a number of projects which are just starting to come to fruition. ABPC is currently undergoing a rebranding process – with new colour schemes and a new logo already approved – while a more user-friendly website is currently being designed and built by Aycliffe-based Thrive Marketing, with content being produced by Mantis Media. The new website and branding will be revealed during the celebration event on September 8, while guests will see a presentation on its new functions and how businesses can best make use of it. Spread across 400 hectares, and with future expansion plans, Aycliffe Business Park is already home to an estimated 500 companies and 10,000 employees. ABPC was officially set up a year ago to formalise the group after its predecessor had been run as an unofficial entity for more than three years. The organisation is marking its first year of operation by embarking on a number of new initiatives, designed to boost community engagement and communication. Chair Kerina Clark, managing director of the Xcel Centre, said: “It has been a really encouraging first year for the board and we’re very happy with its direction. “We’re seeing more and more new faces at our regular news and networking meetings, which is pleasing. Attendees are getting to know their neighbours and many are doing business with one another as a result, which is fantastic. “Of course, we want to see more engagement and we’re looking at ways of increasing that, and we’re hopeful the company’s rebrand and new website will help. Kerina added: “The main aim of the Aycliffe Business Park Community board is to encourage and increase a sense of community between businesses on the park and facilitate support to help companies grow. “We want to increase engagement with all businesses across the park and try to ensure that all companies are aware of the services that exist on their doorstep, and how to access them. Businesses can register for the September 8 event by clicking here.